Copyright © 2006-2009. Răileanu Holistic Health & Mind, LLC. All Rights Reserved. Reproduction by any means, in part or in whole, without permission is prohibited. All violations will be prosecuted to the fullest extent of the law. 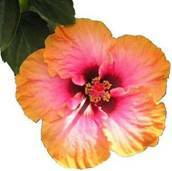 Aloha and Welcome - wishing you a true Aloha, the essence and sacred breath of life. Raileanu Holistic Health & Mind, LLC (R-HHM, LLC) guides individuals to self-healing and empowerment by reconnecting with holistic eastern healing modalities. R-HHM, LLC provides private holistic consulting services to individual clients which includes programs to improve overall wellness, balance, and clarity.